AT&T and Charter both have this habit of increasing their prices on an annual basis. Many of us never really think about it. It happens so gradually, and the costs are buried in a forest of mathematical mumbo jumbo designed to make customers’ eyes glaze over and just pay the bill. There are so many reasons we just let the bills keep getting more expensive. To my mind, it pays every year to review what you’ve been spending, where the money is going and decide whether or not you want to continue using the services of different providers. We decided to move to magicJack plus after the last proverbial straw: AT&T decided to charge us more than twice what we’d been paying for internet, plus our grandfathered reasonable phone rate was being – in their words – discontinued. I sat down with the figures and a spreadsheet and did a few calculations. 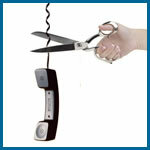 I did research as to which voip service seemed reliable enough and reasonable enough to deal with. Bottom line, we went with magicJack Plus tied in with Google Voice. Our costs have dropped dramatically. Ironically, we’ve since gotten two snailgrams from AT&T asking for us to come back. We could have the same great rate we had before. Except now we’re used to the magicJack Plus system, and it’s costing us a lot less than even our old AT&T landline rates. In a way, I feel like I’ve been abandoned by AT&T. After having been a solid customer for most of my adult life, I’m given a choice of expensive service that doesn’t meet my needs or no service. So — Goodbye, AT&T. When you’ve finished with this post and video, why not view Part 2? You also would not have to use MagicJack Plus. If you have a PC that’s not used all that much, you could use regular MagicJack with it. That’s what I do. I like doing it that way because I can extend its features with a utility named MagicFeatures, which lets me do things like block the numbers of unwanted callers. The works well for me because it’s on an old desktop that I use infrequently. I use my newer laptop a lot more and hence the computer I use most does not have to be responsible for running MJ. Btw, I don’t work for the company that makes MagicFeatures. You’re not alone in using the magicJack USB dongle this way. There is a whole community of people who started using thin-client computers as hosts for the mJ USB dongle before the mJ+ became available. An HP Thin client costs about $50 and uses much less electricity than a standard computer. If your old desktop is an electricity hog, you could look into buying a used thin-client computer. They’re small, often fanless, about the size of a router or hard drive. There are some Ebay sellers have been customizing magjicJack thin-clients for years.